My story starts with our exit of Amer Fort, from where we headed up to the Cheel ka Teela (Hill of Eagles) to visit the most strategic of Jaipur Forts – the Jaigarh Fort. This fort was made in the 1700s by Maharaja Jai Singh II – as a fort to protect the main Amer palace and the town below it. Later, during the times of Emperor Shah Jahan, this fort functioned as a cannon foundry. Compared to the Amer Fort, this fort is quite basic. It has none of the ostentatious buildings of Amer Fort but is more strategic. The Fort was closed to the public until a few years ago and hence, not much is explored. It has its own share of interesting locations and tales – from narrow, winding passages to lost treasures, all waiting to be discovered. 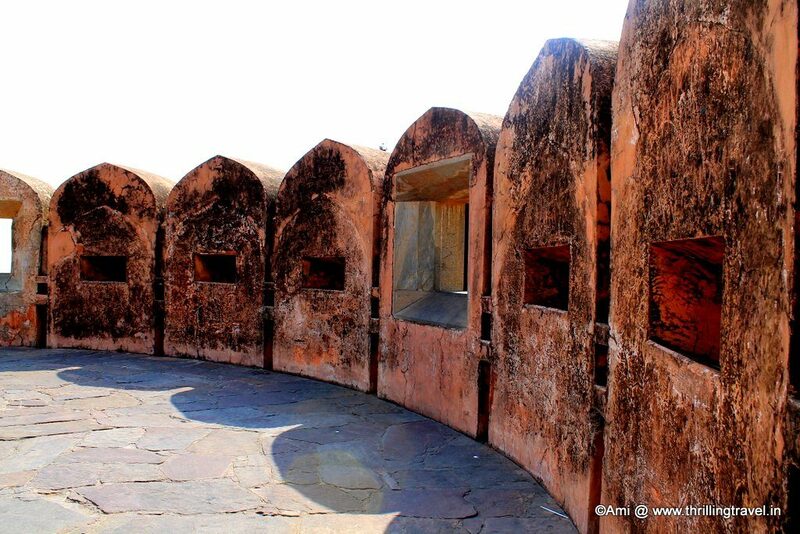 Almost every nook and corner of this fort felt like a secret and I am sharing these secrets through my 10 highlights of Jaigarh Fort. 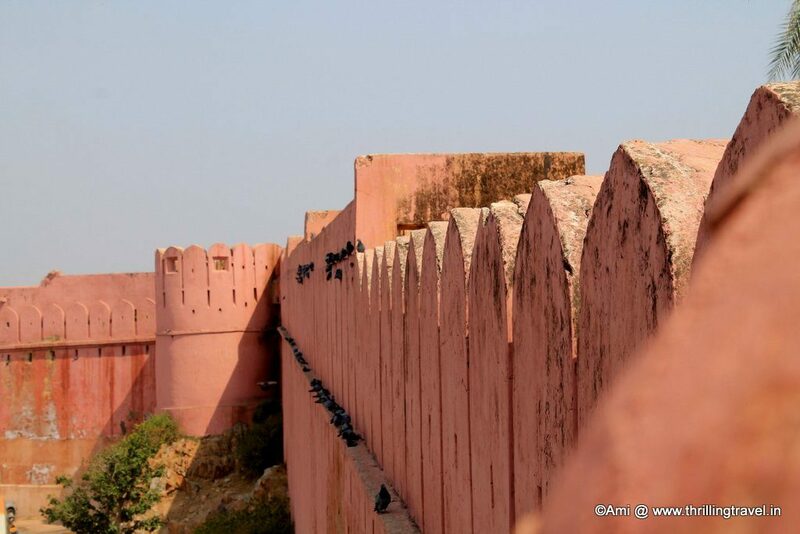 The one thing that you can see from anywhere in Amer, are the huge red walls of Jaigarh Fort. Mind you, I had not yet seen Kumbhalgarh Fort and hence, with no comparison in mind, these walls seemed endless. We were told by the guard that they were just 3 kms long, but they sure seemed more. The bright red color distinguished them from what we saw at Amer fort. I personally, loved exploring the turrets, climbing up the small open stairs to see what was below and basically, just walking along the perimeter of the fort. 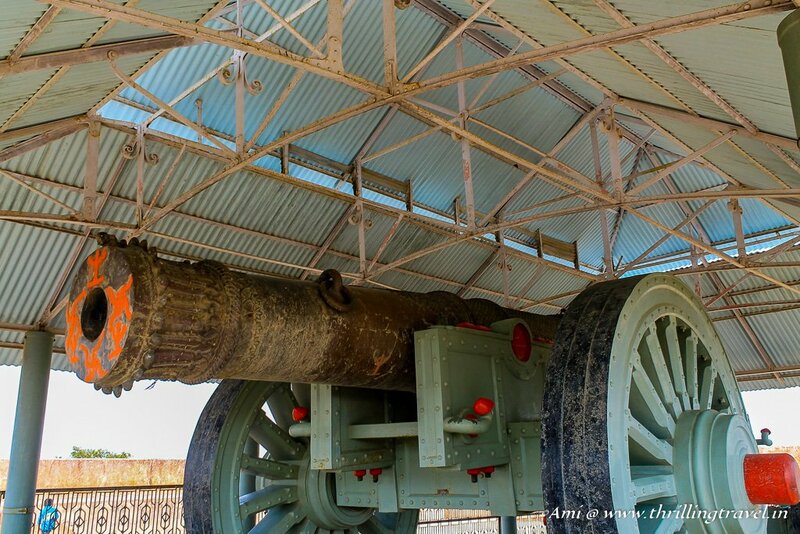 The one thing that you read about Jaigarh Fort is that it is home to the World’s largest Cannon on Wheels. Known as Jaivana, this was built in the cannon foundry at the Fort itself. I don’t think my photos do any justice to the huge size of this cannon. Now, here is the funny part – as huge as this thing was, it was never used in a battle! The only time it was fired was for a test, when the cannon ball traveled 35 kms. WOAH! Please note the use of the adjective – Mysterious. At the first glimpse, this huge water tank seems quite ordinary. Ok – so it was huge, it has a rainwater harvesting facility, could store up to 6 million gallons of water, had three levels, but then, so what? I chose this particular adjective – Mysterious, for the story associated with it. This story is one of the main reasons why this fort was not opened to the public until a few years back. 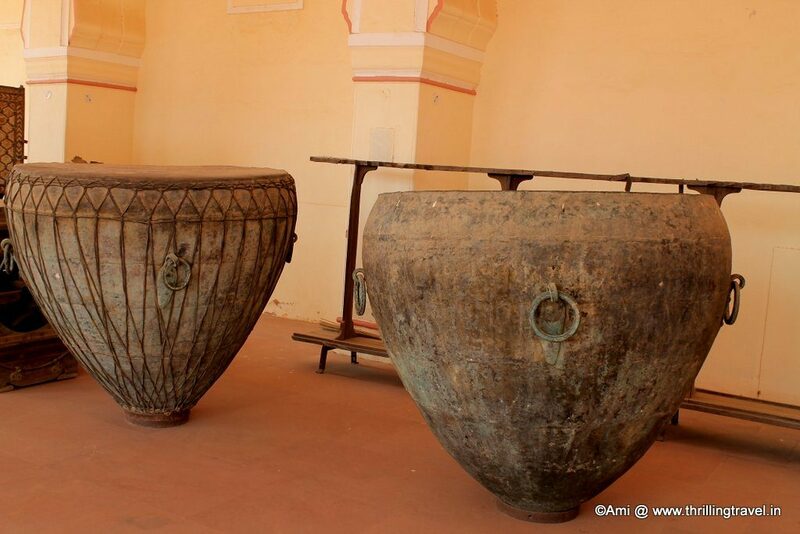 It is rumored that the Kachwaha dynasty used it to store its treasures! They say that there were chambers below the tank where the loot from a successful siege by Maharaja Man Singh was hidden. The rumor was so strong that in 1977, during the emergency declared by the Former Prime Minister of India – Indira Gandhi, a raid was organized to find it. The Maharani at that time – Gayatri Devi had objected to it. However, the same were overruled by her arch rival Indira Gandhi and in fact, army troops were sent to the fort to recover the treasure. After days of search (some say 3 months), nothing was found and the search was called off. During the retreat of the troops, for three days, the Delhi – Jaipur Highway was closed. Some say that there were military trucks plying between the fort and the PM’s residence in Delhi and a question was raised on whether the same carried the treasure straight to the PM’s house. However, there is no answer to that. Whether there was a treasure, or none or was it recovered – no one knows. The story of the water tank remains an unsolved mystery. Once you are done with the water tank, you can head straight to the small palace area. The first thing that you encounter is a huge parade ground called Subhat Niwas. This is where the army used to gather. Here you can view these huge War drums. From here, you move further to the royal drawing-room of the King or the Laxmi Vilas. The pleasant wall paintings and the nice flooring make it obvious that this was an area for important meetings and relaxation. You cannot really enter any of the rooms, but from the outside, they do seem royal enough. This was the summer palace of the King at Jaigarh Fort. Though it has one higher floor, you can only browse through the ground floor. They say that the royal bedrooms were on the higher floor. On the ground floor, there is a small theatre area which served as a royal entertainment area for music and drama. This is where you are now treated to a puppet show. You can even buy some of these puppets as a memorabilia. You will also, find some recreated scenes of how the dining and kitchen areas looked back then. There are separate ones for men and women. You cannot unfortunately, walk through these rooms and have to make do by viewing them through the holes of a grill and glass windows. 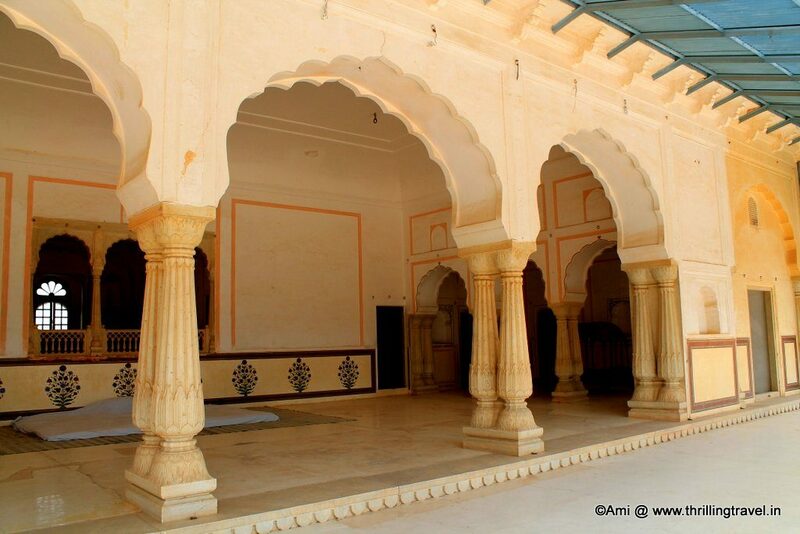 This is the Zenana or the ladies area with lattice windows and jharokas. I have to say, this was literally – the coolest area of the fort. There was so much wind blowing through these windows that made the passages and the halls here so pleasant. 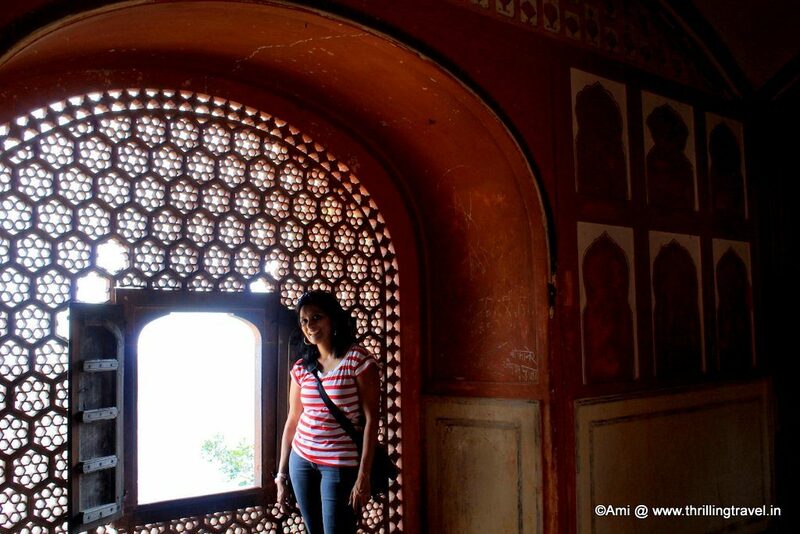 Through these windows, you could see the entire Amer Fort. Though this area was not as well lit as the the rest of the fort, the place was just unusually beautiful. I guess, it was the artistic presence of the lattice windows. 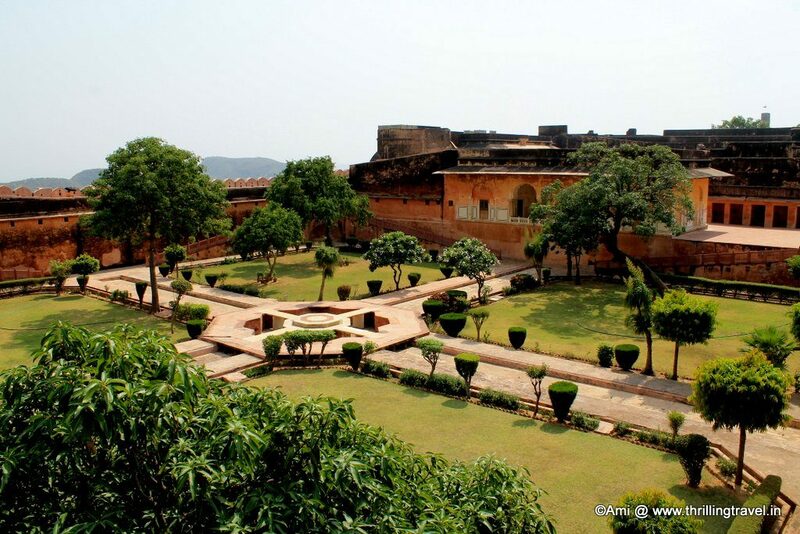 The beautiful green gardens of the Jaigarh Fort were a perfect place for Aaram or rest. I was captivated with the lovely garden and their low walls, high arch gateways and spectacular views. I can quite imagine how the Royal family strolled around this garden in the evenings. Maybe the Queen even sat on those high arched gateways to view the world below. There is a small museum of war instruments and weapons. I personally, do not have a thing for armaments and hence, breezed through the same. However, there were a few unusual ones that did capture the attention of a non-arms enthusiast like me. Photography is not permitted here and hence, I have none to show you. The foundry is another story all together. Here you can see the unfinished cannons and cannon balls. They say that the foundry was such that it sucked in the mountain air to help reach high temperatures that would melt the metal for the cannons. Goes to show the advancement in technology back in those days. This maybe the last highlight, but the most important one for me. This is the one I will always remember Jaigarh Fort fort. No matter where you look from, you get some spectacular views of the valley below. Like this one, where you see the Sagar lake. Or this one from the Aram Bagh where you can see the rest of Amer town, along with their various temples. Can you spot the spires of a Jain temple? Or of the Amer Fort from the Vilas Mandir side. 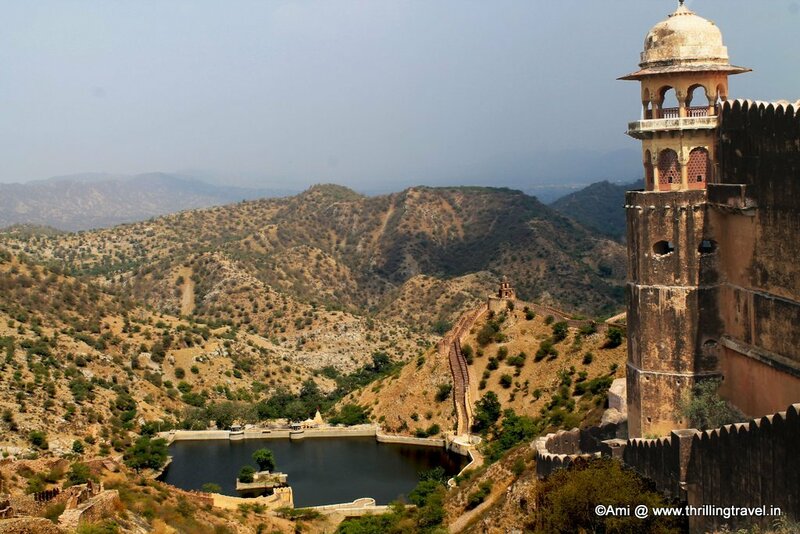 These views make you realize how perfectly positioned was the Jaigarh fort – a name that literally translates to “Victory Fort”. I think Jai Singh II was indeed a smart one to have built this. I personally, loved getting lost in the narrow passages and then finding my way out to some spectacular views of the world around. For me, this fort is all about secrets – be it the passages, the spectacular views, the strategic focus or the mysterious water tank. More so, as I did not know much about the fort till I visited it. I sure would include it under one of the things to do in Jaipur. What do you think? Do you concur? Or do you have a different view? On how to reach Jaipur, you can check up my earlier post. 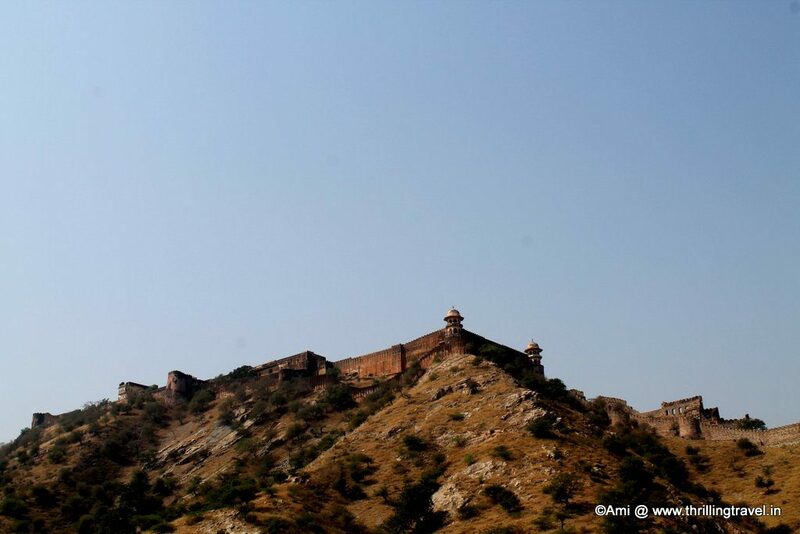 Jaigarh Fort is around 15kms from Jaipur. 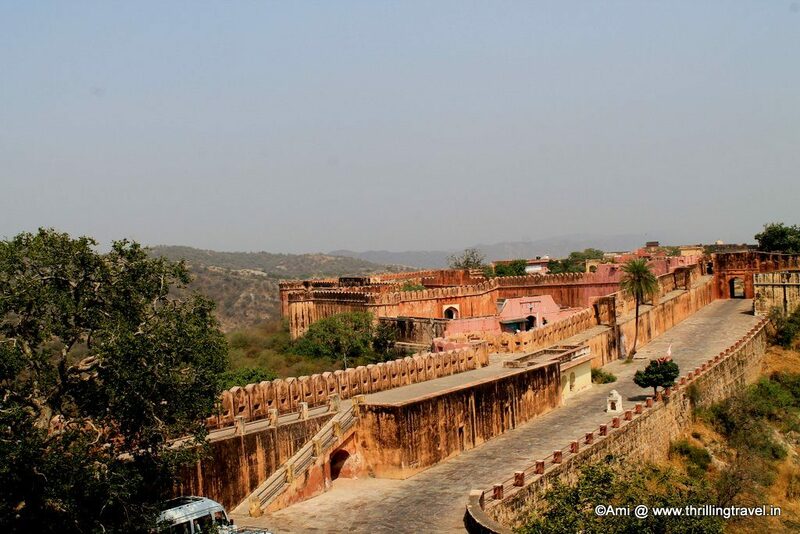 Jaigarh Fort is around 7 kms from Amer Fort. 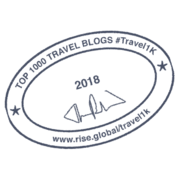 However, to reach here, you need to hire a private vehicle or take one of the local buses. Jaigarh Fort is open between 9am to 5 pm. The ticket prices for the same are INR 35 for an Indian and INR 85 for a foreigner. Camera charges are separate. The guards are quite strict about these charges and keep checking on the camera tags. There is loads of walking to be done. Hence, flat shoes and comfortable cotton clothes are recommended. The fort has a museum shop as well as a cafeteria. There are rest rooms too, at the entrance of the fort. Be careful when walking along the walls. Some of those steps are falling away and hence, exercise caution when around them. The passages within the palace are quite winding and confusing. 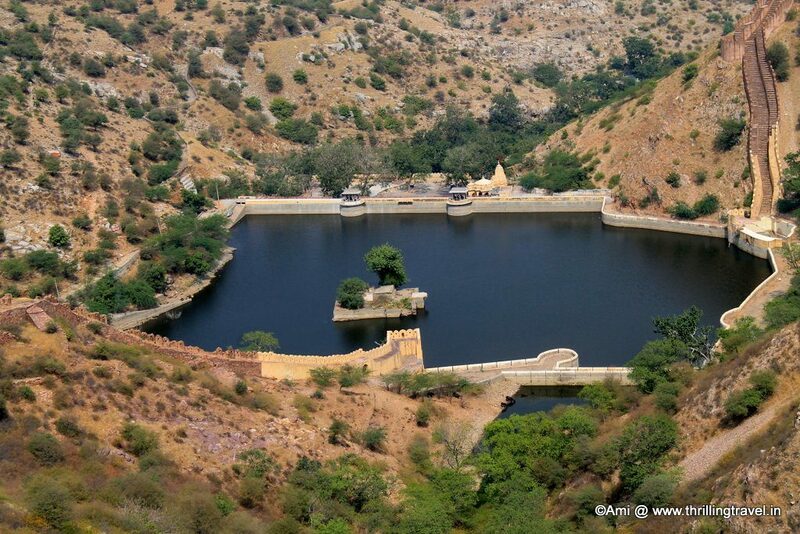 The place is not as crowded as the Amer Fort and you will find quite a few secluded spots. Hence, try to not get lost and remember to keep to the main areas. If you have kids with you, remember to keep a hold on them. 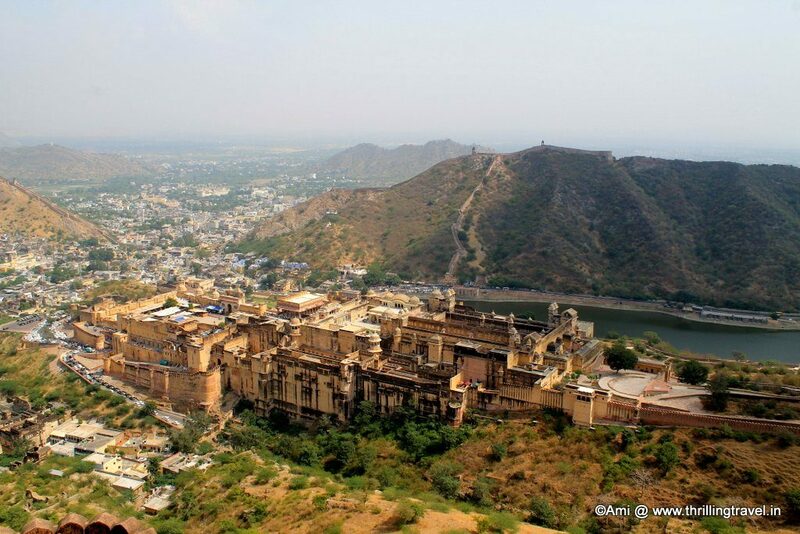 It is a good idea to combine this with your visit to Amer fort. I too loved the views and the stories around it! Lovely captures. Wow! Such a captivating post, just like the fort. I am planning Jaipur soon and would be including this one in my to do list. Great post Ami. Plus it’s raining in Jaipur today (1st) which makes Jaigarh more magistic. Awesome. Wish I could be there. Yet another great post on a historic fort. I must make another trip to Jaipur to see all the things I had missed out. I always thought that two days are enough to see a place but your travelogues have made me rethink the number of days one needs to see places. Ha ha, I was there for three days and I felt as if it were not enough 🙂 Jaipur or for that matter Rajasthan, does need a lot of time. So many beautiful sights to see in this world – thank you for taking me here virtually. Wow! Lovely captures. Haven’t ever been to Jaigarh. Amer and Nahargarh I did visit. This will be on my to-visit places. I am headed to Jaipur in Dec and will surely visit this fort. You bet. I feel this fort gets lesser due than it deserves. Wow! Such stunning pics. Jaipur was not on my radar. It is now! Thank you for sharing. Thank you Shanaya and it is going to be so worth it. Oh people do know about it but they choose to skip it as not so important 😀 Personally, I feel it is worth the visit. Interestingly there are few of these small huts and homes standing at the outskirts of Jaisalmer. They weren’t really mud, but more red stone. you have captured the plce very nicley. Great Article. Detailed information and nice photography. I had been to the Amer Fort twice and Jaigarh 1 time. Those are amazing forts!! Most interesting post! Especially the part that the Kachwaha Dinasty might have used the water tank to store its treasures. Not a bad idea. 1. What is the timing of the puppet show at Lalit Mandir? 2. Is the restroom near Jaigarh fort usable (clean)? (This is a concern for us when traveling with our toddler). Are there similar facilities available at amer fort? 3. What about food facilities around? Would it be better to carry our own? 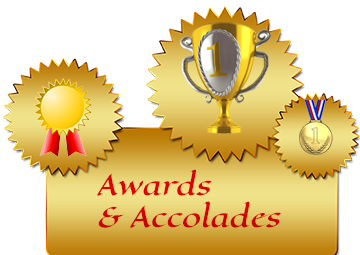 By the way, when we narrate our stories upon returning…we owe you a special mention…your recent Jaipur posts have been super informative for us. 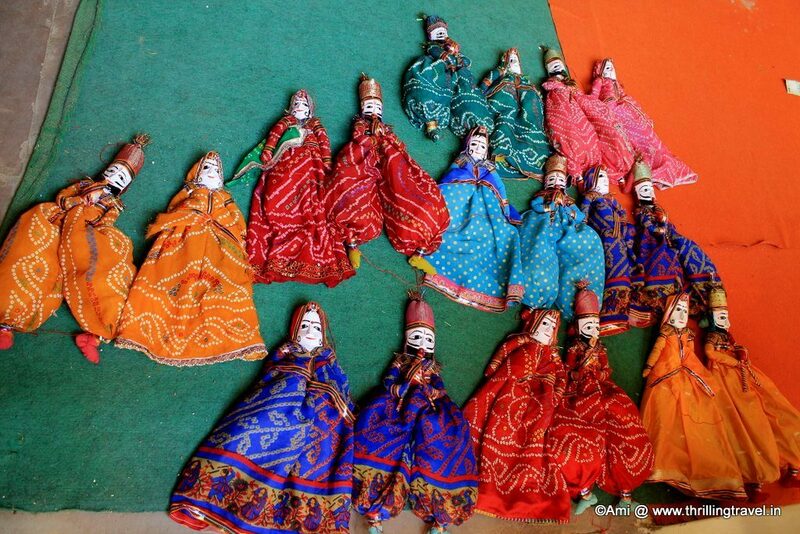 1) The puppet show at Lalit Mandir is constantly on. There is no set timing and the guy just keeps at it after every 15 minutes. 2) Rest rooms are so-so. All the forts have rest room facilities. Though you may have to walk around to find them as the forts are huge. If you are traveling with the toddler, be prepared for the long walks. In terms of the rest room, they are just basic. 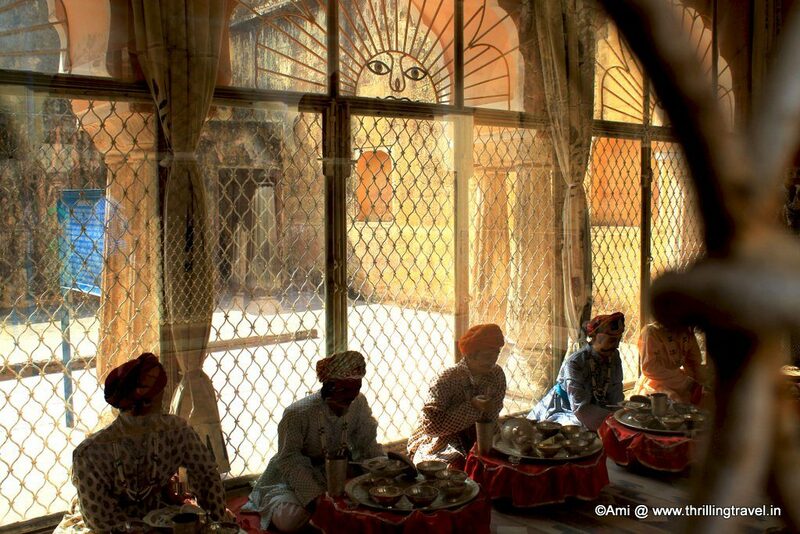 3) Food at Amer Fort is easily available. Plenty of restaurants. Jaigarh has one small one. It is advisable to carry some snacks, given that you have a kid with you. For the main meals, you can even head to Amer town as there are quite a few restaurants here. 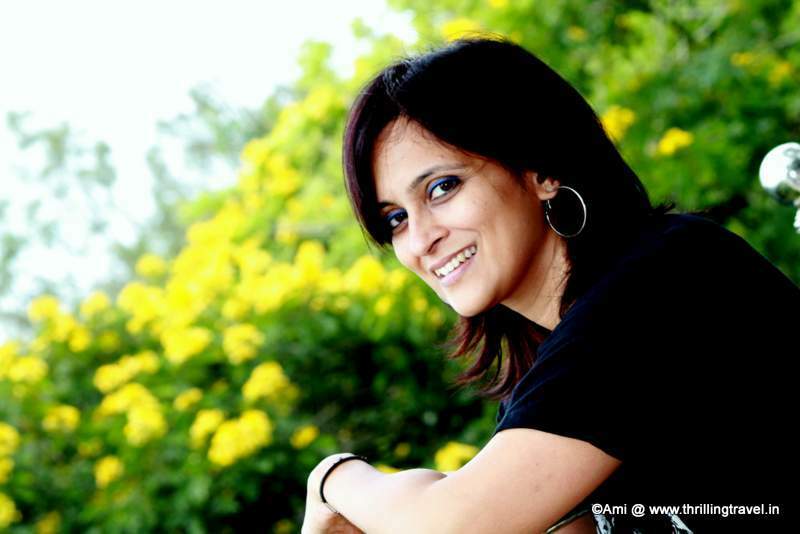 Always a first time Neha and am sure you will enjoy it, irrespective of whatever comes your way. Thanks Ami! This is the best I have read so far on Jaigarh. I can take you around when you visit next. There are many untold stories! 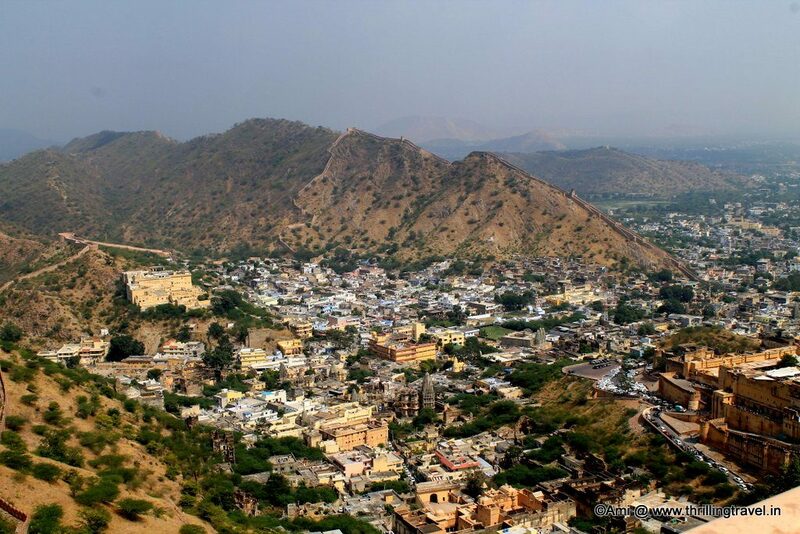 This is a wonderful documentation of the lesser preferred fort of Jaipur… People mostly visit Amber & Nahargarh. I love Jaigarh fort too and end up going there when I am seeking some calm. Thanks Shubham. Jaigarh is quite an intriguing fort. Loved my visit there. Thank you. I do hope you get to visit this ..it is quite a mysterious place. Wow, those red walls are just incredible – they really make the long corridors of the fort look like something magical or out of a disney movie. I loved the view from the fort – Sagar Lake looks extremely peaceful and a wonderful place just to look out upon. Yep, the view from the fort is amazing. I love the way you could spot the life in the other palace below from here. Very interesting architecture! The story of the mysterious water tank is intriguing! That Lalit Mandir reminds me of the awesome Rajasthani restaurants I’ve been to. That’s making me hungry right now! I suppose the Rajasthani restaurants were inspired by these designs :D. The fort truly is amazing. Thank you Ariane. The fort does have a lot of stories to tell. Hope you visit it. The Fort does look mighty till this date! I have fond memories of my visit there, all rekindled by your post. Those views are insane!!! I was in Jaipur back in September and although my visit was quite short, it’s firmly placed as one of my favourite places I’ve ever been! I really need to go back and see everything I missed, including both Jaigarh and Amer Fort. The way you’ve written this post is fantastic, I couldn’t stop reading! Reading your posts always makes me want to go to India more and more! I wonder why that huge cannon was never used? I would love to see those amazing endless red walls. And I love buying souvenirs, so I’m sure I’d want to buy one of those puppets too! The cannon possibly, was never required after it was made. But now I also, wonder why. 🙂 The puppets are definitely a lovely memorabilia of your travels here. Hope you get here soon. Thanks Ami for making my memories refresh, I’ve a similar kind of photo’s collection from almost same angle ;). But I love the old one when at the younger age of 6 or 7 I was standing in front of Jaiban. Some views are always classic. Glad you enjoyed the nostalgia this post got you to feel. Jaipur was just amazing. You should definitely head there soon. Wow..such a great description…We took a ride to Jaipur by bike and visited Amer fort…I could deeply understand that glorious feeling you get on looking that marvelous fort..How ever due to time constraints we could not able to visit Jaigarh fort and i regret it now after reading this article…I just imagined how these places looked like in past and it gave me goosebumps. I visited Jaigarh Fort last December. This is really amazing place. Thank you Gautham. I am sure you enjoyed it. Funnily enough, I’ve always associated forts with prison cells, weapon rooms and such. It’s so cool to know that there are a lot more to it than that. 🙂 Interesting to know about the world’s largest cannon being stored here and not been used in battle. Guess there was no need for it during the time that the fort was still being used. The forts in India were often used as residences as well. Though this one seems to be more of a protector fort. You should visit these in India. They are truly something else and yes, bonus is that you can see the cannon. Thanks Marvi. I am glad you still explored Jaigarh Fort, though the secret passage does sound intriguing. That is a massive cannon! Seems like a feat just to move it around. The mystery of the water tank is neat, I love it when a historic building has great stories like that. There are plenty more stories around here. You should most definitely visit to find those out. Hope you do so soon. Thanks for stopping by Chris. Rajasthan is so amazing because of all these elegant forts and palaces and historical royal places that you can find here. 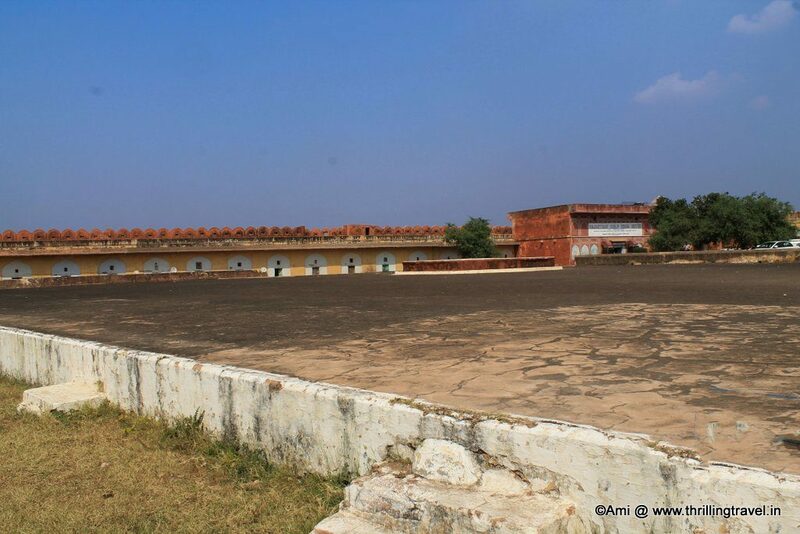 I have not heard of Jaigarh Fort but it looks quite stunning with its really long, brick red walls. The view of the lake from the fort is breathtaking! 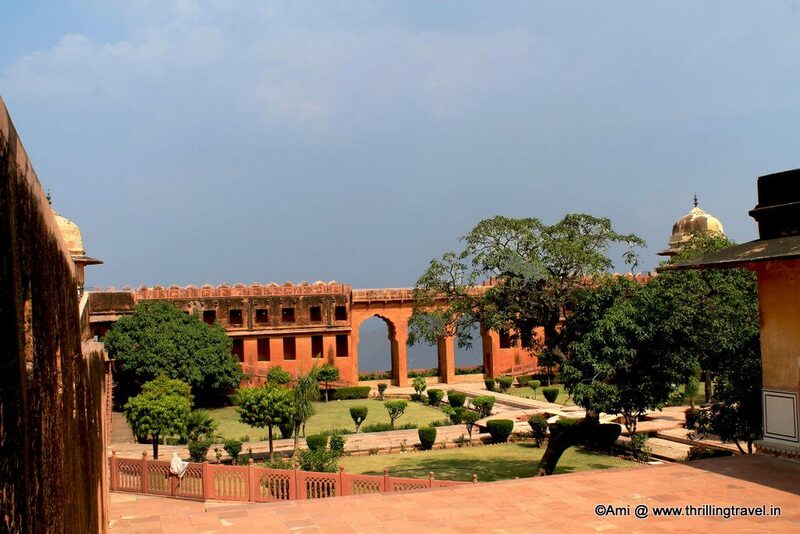 Also the fort’s gardens or Araam bagh as well as vilas mandir are stunning! This is just over the Amer fort – seems more like the protector fort. You should visit this place. Quite nice. Thanks for stopping by Medha. Wow! I had no idea this fort existed. I was in Jaipur last year, and of course we toured Amer fort only. This is a really interesting post and the views are absolutely spectacular! Great pictures – and yet another reason to go back to India! Jaipur is one of my favourite cities as it is filled with so many forts and stories. i have been visiting Jaigarh Fort since I could barely crawl and every time i have gone there i have discovered a new thing about the place. it’s a great vantage point for photography too, especially the Sagar Lake view. Lucky you. I would love to keep visiting this fort over and over. Jaigairh fort looks incredible, I’m obsessed with the pink toned walls and buildings in Jaipur – having never been myself, these remind me a lot of the colours of buildings we saw in Marrakech. I’m actually quite captivated by the Aaram Bagh, the gardens look so tranquil and so beautiful manicured and maintained, I’d love to take a stroll too. I also didn’t know it has the world’s largest canon on wheels. Thanks for enlightening me about this fort. This sounds like a fascinating place! 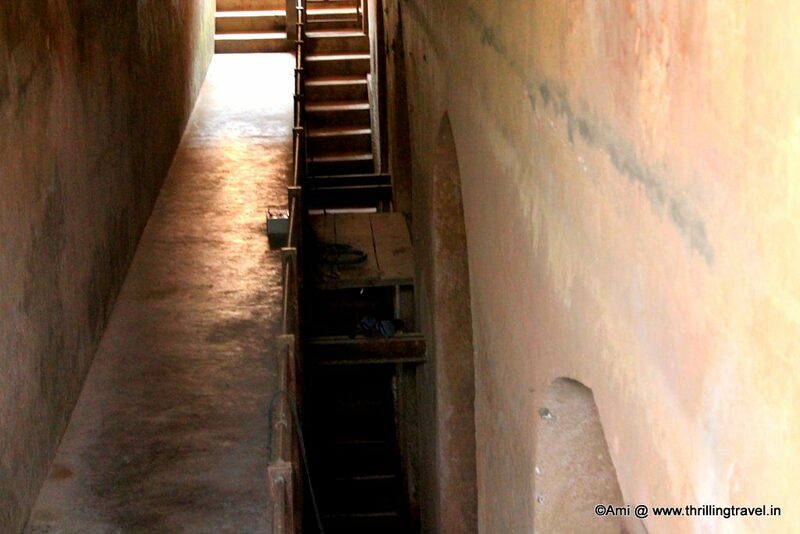 Secret passageways, mysterious water tanks, hidden treasure… I love the history here! And then the gardens and those views! I would love to cme and explore the beauties and mysteries of Jaigarh Fort. I hope you can visit soon. It is one mystifying place. I remember you sharing that you managed to go through that tunnel. It was closed when I went there. Hope to be able to do it sometime. It is a wonderful Fort. When I visited I was told of a short passage to Amer Fort. I ventured through an uncommon open passage from Jaigargh Fort to Amer Fort on my Maruti 800. Although a very short passage but very scary and daring, having loose uneven patches with slippery descent and deep slopes on one side. We were fortunate enough to reach Amer Fort without any untoward incident . Good for trekking and off road vehicles but would not recommend for normal cars. Big NO in rainy season.